Are you in need of a midsize pickup truck that can tackle all of your driving needs? If so, head over to Vann York Toyota in High Point, NC. 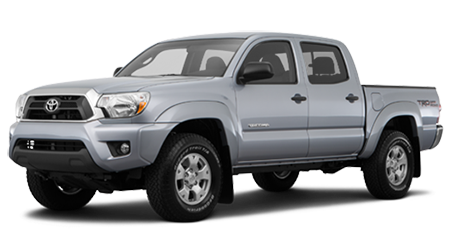 At our dealership, we carry a vast assortment of Toyotas in stock including pre-owned Toyota Tacoma trucks. We have served Greensboro, Winston-Salem, Kernsville, Jamestown, Thomasville, Lexington, Asheboro and Burlington, NC for an extended period of time with our best prices on Toyotas. Stop by Vann York Toyota at 500 Eastchester Dr. and test drive a pre-owned Tacoma today. If you’ve been searching for a midsize pickup truck that gives you the confidence to use every day, then a Certified Pre-Owned Tacoma is the one for you. Every Certified Pre-Owned Toyota is less than seven model years old and has less than 85,000-miles on it. Before hitting our showroom, our certified technicians will perform an in-depth 160-point inspection on the vehicle. If our technicians find anything that needs to be replaced, they only use authentic OEM components. Each Tacoma will also come with a clean title and a CARFAX Vehicle History Report. Unlike other used vehicles on the market, a Certified Pre-Owned Tacoma has a lengthy warranty. Each Tacoma has a 12-month/12,000-mile warranty, a 7-yr./100,000-mile limited powertrain warranty and one year of Emergency Roadside Assistance. Drivers looking to extend the vehicle’s coverage can choose between the Certified Gold or Certified Platinum plans. At Vann York Toyota, we’ll get you into a pre-owned Tacoma today. At our dealership, we have an amazing finance team that is noted for their ability to get drivers an excellent rate on a used Toyota. Our dealership will work with your credit score to assure that you obtain an affordable loan that works for you. To get an idea of the kind of loan you’ll get at our dealership, visit our hand website and explore our online calculator and application. With these features and our skilled finance team, you can get into a pre-owned Tacoma today. When it comes to getting a versatile, midsize pickup truck, a used Toyota Tacoma is an excellent option. A used Tacoma has the same towing capacity, capability and interior features as new model, but is at a much more affordable price. Through Toyota’s Pre-Owned Program, you can get into a used Toyota in confidence. Pay Vann York Toyota in High Point, NC a visit at 500 Eastchester Dr. and discover a pre-owned Tacoma today.